Select the corresponding data group. Displays the titles of the selectable data fields. 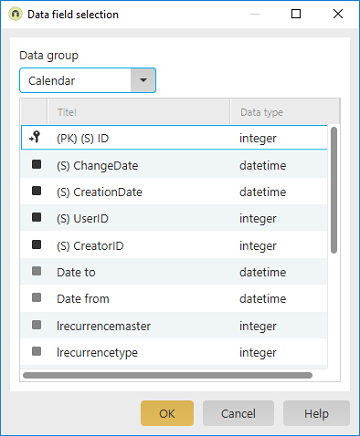 Displays the data types of the selectable data fields.